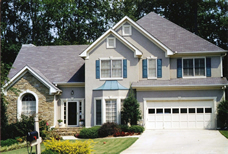 A home inspection is a visual observation of specific, readily accessible systems. Sort the good work from the not so good work with realistic expectations. A building code book that everyone can use. We use our professionalism, experience, knowledge, and independence to find any major defects and put them into perspective. Who do you want on your team? Do you want the teacher or the student? Do you want the author or the reader? Do you want the leader who writes standards about how inspections should be done or the one who follows? It’s your choice; chose wisely.